In the largest ever study of its kind, more than 350 sportsmen and women from nine GB Olympic teams, including swimming and rowing, along with Team Sky, England Rugby and Reading FC, underwent an oral health screening. This included assessments for tooth decay, tooth erosion and gum disease. Athletes also completed questionnaires, to assess the impact of oral health on sports performance and on quality of life, such as sleeping, eating and self-confidence. Nearly half (49.1 percent) of the athletes were found to have untreated tooth decay, 77 percent had gingivitis, an early indicator of gum disease, and 39 percent self-reported having bleeding gums while cleaning their teeth, a sign of gum inflammation. Only 1.1 percent of the participants had 'excellent' periodontal health. More than a third (32 percent) reported that these conditions had impacted negatively on their sporting performance, along with their ability to eat (34.6 percent), relax and sleep (15.1 percent) and smiling and self-confidence (17.2 percent). Lead author Professor Ian Needleman (UCL Eastman Dental Institute) presented the findings at the European Federation of Periodontology's EurioPerio9 conference in Amsterdam today (Thursday June 21, 2018) and the paper will be published in Community Dentistry and Oral Epidemiology, on Monday (June 25, 2018). "This is the most methodologically robust study to ever evaluate oral health and associated performance impacts in elite athletes" he said. "Every sport examined revealed significant levels of oral ill-health with the overall risk of tooth decay being higher for an elite athlete than the general population. "The odds of having tooth decay were also 2.4 times greater in team sport than endurance sport. "We recommend regular screening and new intervention strategies to reduce the incidence of oral disease and the knock-on effect on performance." The study found 97 percent of the participants said they brushed their teeth twice a day and 40 percent said they cleaned between their teeth (flossed) once a day. This is higher than the general population, with 75 percent brushing twice a day and 21 percent flossing once a day. Commenting on the possible causes for athletes' higher risk of oral disease, Professor Needleman said: "Nutrition in sports is heavily reliant on frequent carbohydrate intakes, which are known to increase inflammation in the body and gum tissues. 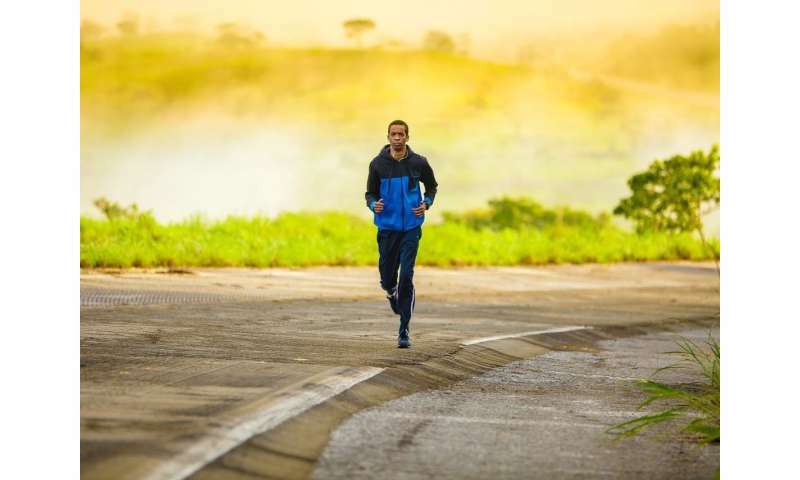 "In sports where there is a lot of airflow, such as cycling and running, breathing hard can make the mouth dry so teeth lose the protective benefits of saliva and there is existing evidence of lower quality of saliva with intensive training. "Stress is also clearly a risk factor, with some athletes reporting vomiting before every race, as a result of pre competition anxiety." Moving forward Professor Needleman is leading a study on effective behaviour change and interventions. "We will be testing ways for athletes and their teams to fit oral health routines into their lives and training schedules. We also aim to understand how personal behaviour can be influenced by the team so that we can come up with recommendations common to the whole team, as well as with personalised advice," he said. "We know that oral diseases are preventable by simple interventions, such as raising awareness and motivation to maintain good oral health, brushing teeth, regularly cleaning between teeth, healthy nutrition and regular dental check-ups." The study was conducted prior to the 2016 Summer Olympics and the mean age of athletes who took part in the study was 25 years (range 18-29) with 67 percent of respondents being male. Two previous UCL-led studies, conducted with Olympic athletes and professional football players in the UK found similar poor oral health results. Dr. Mike Loosemore MBE, Chief Medical Officer, Team GB 2018 Winter Olympics and British Olympic Boxing said: "By introducing regular dental checks into the GB Boxing team we have had a marked reduction in time out of training and a noticeable improvement in dental health."